These free wheel sprocket rollers admit a unidirectional drive in the clockwise rotation or, on request, in anti clockwise rotation. 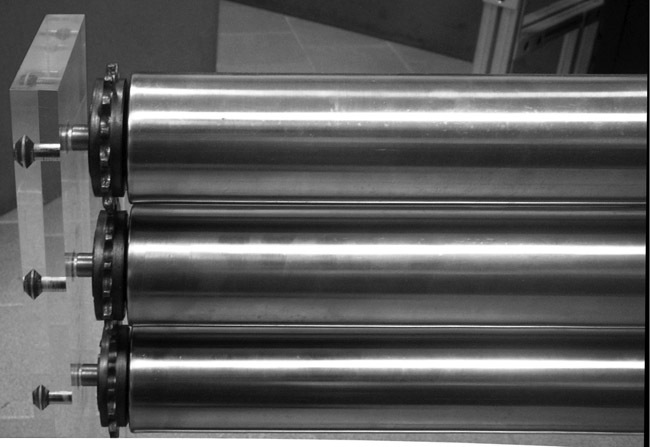 The tube of these rollers is free to rotate in the driven direction, independently from the drive: the ideal application, therefore, is when it is necessary to load or unload units at a higher speed than the conveyor speed. The free wheel is screwed on a special endcap with 6201 ball bearing. These rollers are completely in steel, with the tube swaged at the ends and with a standard execution shaft which is internally threaded for screw fixing.